Hi, my name is Dennis Jackson. I am a volleyball player, trainer, and coach. You could say my passion for volleyball was inevitable. For the last 35 years, my parents have been heavily involved in volleyball. My parents not only played, but also coached and officiated. And I also have an older sister that played club, high school, and Division I Volleyball. So you can see, volleyball is in my blood. I did play many other sports growing up. At 5 years old I was playing organized soccer, basketball, and baseball. I later enjoyed competing at table tennis, badminton, and handball. I started playing volleyball competitively at 14. Soon after, I discovered grass and beach doubles. I instantly loved playing doubles and this became the sport I loved the most. For the past 25+ years I’ve learned a ton about training, coaching, and playing volleyball. 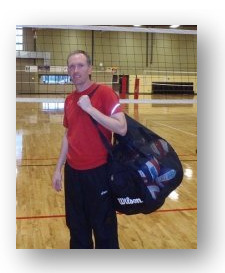 I train both youth and adult volleyball players and I specialize in strength and conditioning specific to volleyball. 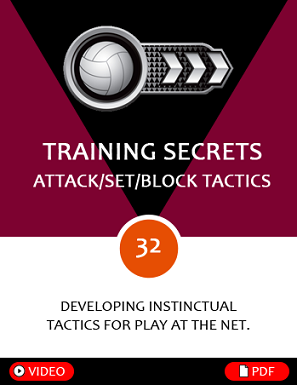 As I coach club youth volleyball and train for beach volleyball tournaments, I continue to discover new insights to playing the sport I love so much. From all my experience, I have developed a unique perspective on volleyball. I experienced this game I love from the perspective of a high level competitive player, mechanics coach, volleyball coach, strength & conditioning specialist, and referee. If you are interested in learning my training secrets, be sure to join me on this journey by submitting your name and email below.